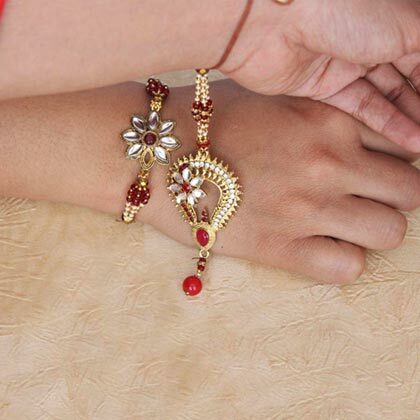 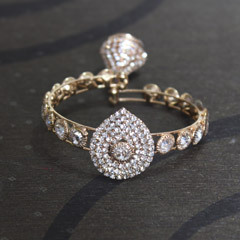 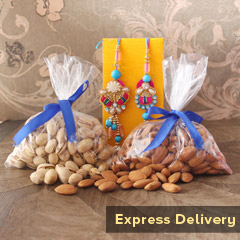 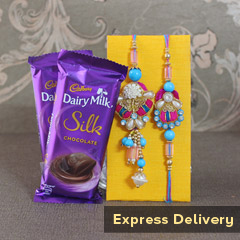 When you have desired for an amazingly attractive Bhaiya Bhabhi Rakhi set then here we make your wish come true with this exquisite Zardosi Rakhi set. 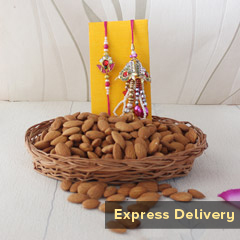 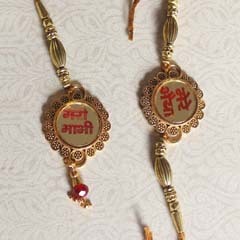 Each of the Rakhi for Bhaiya and Bhabhi is been designed with intricate Zardosi work. 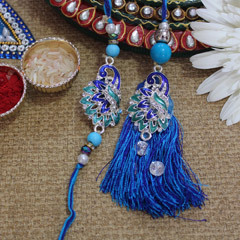 The use of pearls, colorful beads and sparking stones are adding more beauty and charm into this lovely Zardosi Rakhi pair.